Borders between visual arts and performance arts appear to be more and more DOTTED LINES. Dancers incorporate visual arts in their performance and exhibition spaces for visual arts stage performance arts. 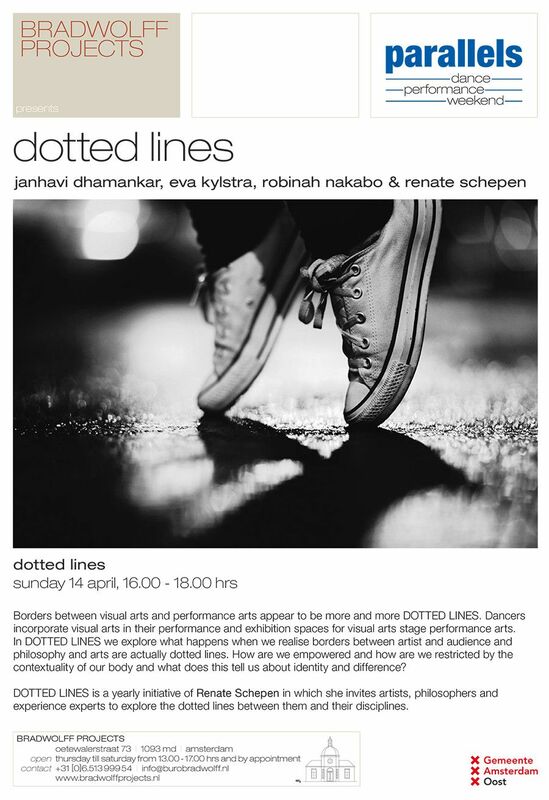 In DOTTED LINES we explore what happens when we realize borders between artist and audience and philosophy and arts are actually dotted lines. How are we empowered and how are we restricted by the contextuality of our body and what does this tell us about identity and difference? DOTTED LINES is a yearly initiative of Renate Schepen in which she invites artists, philosophers and experience experts to explore the dotted lines between them and their disciplines.